Political lobbying begins for legal sports betting in Canada. And so it has begun. Political lobbyists are now making their way throughout the cabinetry of government houses, from the riding of Essex, to the minister of the Crown. 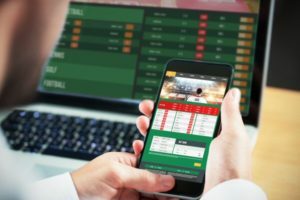 It is not yet a fast movement, nor a crowded one, but those who recognize the missed opportunity for what it is are going to bat for a reevaluation of Canadian sports betting laws. The charge appears to be led by David Cassidy, President of Windsor, Ontario’s Unifor Local 444. A gambling proponent by occupation, his union members include a multitude of employees of Caesars Windsor Casino. Cassidy’s been making the rounds a lot lately. In October, he shared his concerns with Prime Minister Justin Trudeau. A more recent conversation with Foreign Affairs Minister Chrystia Freeland centered around single-event sports betting and the profound number of jobs it would create for communities. While sports gambling isn’t on Freeland’s agenda, she presents a direct link to additional political figureheads who Cassidy has requested she “send the message” to. How does sports betting create jobs? In a lot of ways, actually. Cassidy points out, for starters, the number of additional employees casinos would be hiring to build and run their new sportsbook operations. He estimates legalization would open 150 employment spots at Caesars Windsor alone. Essex MP Tracey Ramsey agrees. Another advocate for updating Canadian sports betting laws to permit single-event wagering, Ramsey’s support bloomed like so many others; after watching how quickly US States jumped to legalize sports gambling following the US Supreme Court’s eradication of a decades old ban. The sweeping prohibition that effected every state besides Nevada (and three others that chose not to recognize it) was lifted in May 2018. Already, five more states now offer legal sportsbooks. Delaware, New Jersey, Mississippi and West Virginia were the fastest, with Pennsylvania being the latest to launch on Friday. A flurry of additional states are expected to legalize and launch sports betting products in 2019. The one that concerns Cassidy and Ramsey the most is Michigan, located just across the Detroit River. While Cassidy was lauding the employment of an additional 150 staff members at Caesars Windsor, MP Ramsey detailed a much more expansive range of job openings across the nation. Last week, she spoke of updating regulatory guidelines that would eliminate much of the black market gambling that’s going on now, and has been for years. Regulation would funnel millions of dollars away from criminal markets and more attractive offshore sports gambling websites, and back through government coffers, earning more than enough money to expand programs for the prevention and treatment of gambling addiction. It’s been two years since there were any serious talks of legal sports betting in Canada. MP Brian Masse proposed a bill in 2016, but it was defeated by a vote of 156 to 133. Masse’s push for legalization estimated the black market to be worth $7.6 billion per year.